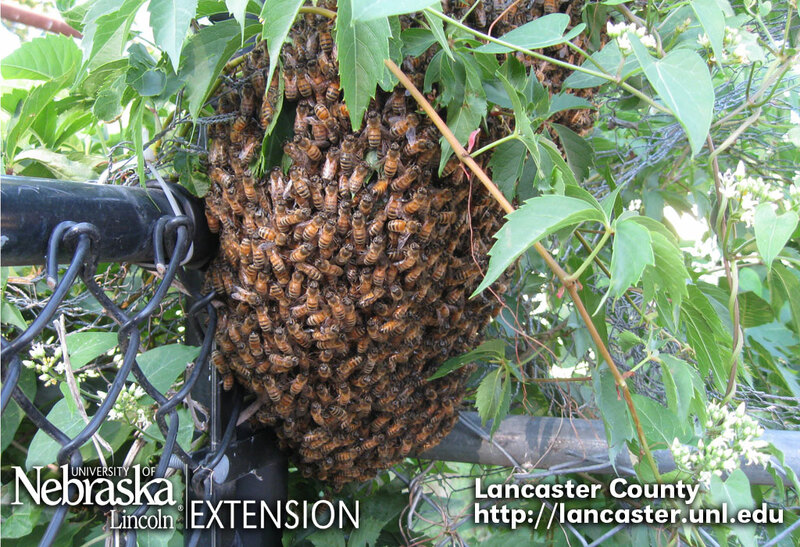 A co-worker in our office captured an exciting event on her backyard fence last night – a honey bee swarm. Sometimes honey bee colonies send off swarms with one queen and several thousand workers. This a natural event for honey bees. Typically bee colonies trigger a swarm when the colony is overcrowded, usually in early summer. This swarm is moving to a new site a little later in the season. Swarming is an amazing phenomenon not everyone is lucky enough to experience. If you see a swarm, it is best to leave it along and not disturb it. The bees will leave on their own. If the swarm is in an inconvenient place, contact a local beekeeper who will be more than happy to gather the bees and help them find a better location. Check with your local beekeeping organization or State Department of Agriculture for names of beekeepers in your area. Honey bees are not native to the United States. They were brought to North America by early settlers. Honey bees are important pollinators and just like our native bees, play a critical role in our food production systems. Understanding Honey Bees – Why do they swarm? ← Can Wasp Be Pollinators?